Busy mums who are always on the go are often looking for methods, or products, that can help to make their life that little bit easier. 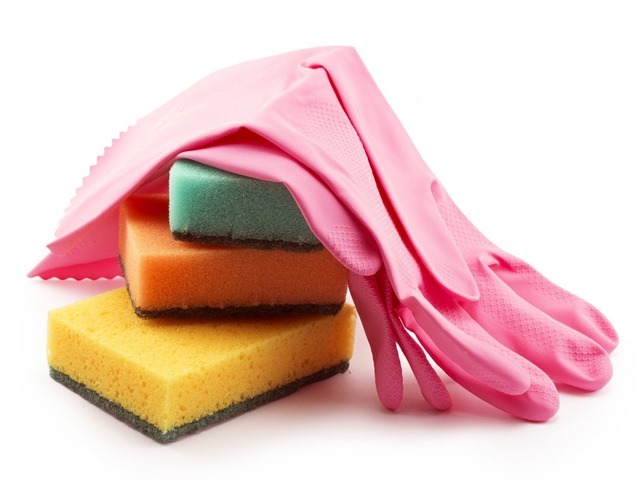 Rubber gloves are excellent to wear when doing any kind of cleaning around the house as they can protect your skin from coming into contact with harsh cleaning products, as well as acting as a barrier between you and the dirt and dust. There are always cleaning jobs that no one wants to do, but if you have some disposable gloves nearby you can quickly put on and throw them away, saving you time and eliminating the need to keep any smelly, damp gloves lying around. You should always have a supply of sterile gloves in your home first aid kit. Children are constantly having little trips, falls and accidents that busy mums will have to tend to – after all, cleaning out a graze, applying plasters and even the odd steri-strip are all part of being a mum. Disposable sterile gloves, such as those sold by The Glove Club, are ideal for making sure that no bacteria transfers from your hands to an open wound, and vice versa. Busy mums often don’t have five minutes to themselves, let alone an hour or two to spend at the hairdressers, so many mums choose to use home hair dye kits to keep on top of their hair colour, because not only is it much less expensive, it can also be done at home. The gloves you get in these kits are not all that great and generally rip and tear very easily; this can result in colouring your skin as well as your hair. Having some disposable rubber gloves on hand is ideal for those mums who regularly dye their own hair at home and don’t want the dye to leak onto their skin. You can buy longer length gloves that will not only offer protection up to the wrist, but also over it too. Keeping a box of disposable gloves in your car is a great idea for mums on the go. If you find yourself needing to change your tyre or check your oil levels on the way to a business meeting or parents’ evening, you don’t want to turn up with oil and grease all over your hands. Great in an emergency, these gloves can protect your hands from any muck and can simply be thrown away afterwards. They are also useful when you’re at the petrol station if you don’t want to risk getting petrol on your hands; the smell of petrol is really strong and is prone to lingering for a long time. Also, if your child gets car sick, they are handy for protecting your hands if you have to clean up any vomit from your back seat. Sterile disposable gloves are perfect for your baby’s changing bag. If you’re out on a day trip with your baby, say to a park or woods, there may not be a bathroom nearby to wash your hands. Babies don’t wait for sanitary conditions before a nappy change, so having a couple of pairs of sterile gloves in your changing bag means you can protect your hands from any bacteria while you‘re changing your baby. Afterwards they can just be rolled up, put in the nappy sack and thrown away with the nappy.